UK Communications Minister Ed Vaizey said radio broadcasters were too far behind to contemplate following TV into an all-digital future. Vaizey, speaking at the BBC, announced a range of new measures to boost digital radio, including a new national multiplex – which will mean a host of new national digital stations – and improved digital audio broadcasting (DAB) coverage. 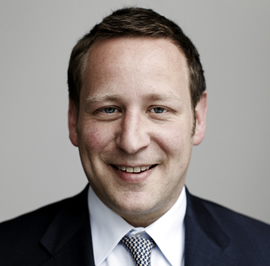 Vaizey did not announce a switchover date, with digital take-up slower than expected – accounting for just over a third of all radio listening. In other initiatives, a new digital “tick” mark will be used on approved digital radio sets, and the DVLA will include information about digital radio in all vehicle tax reminders, with the availability of digital radio in cars a key hurdle for switchover. Ford Ennals, the chief executive of digital radio switchover body, Digital Radio UK, said: “We welcome the minister’s confirmation of a digital future for radio in the UK and today’s announcements about government investment in DAB coverage and the ability to launch new national stations on DAB, which benefit listeners and enable the switchover criteria to be met.